Make 2018 the year that you volunteer! We are always looking for dedicated, loyal and dynamic volunteers to join the many who already give their time and skills to the NCBI. 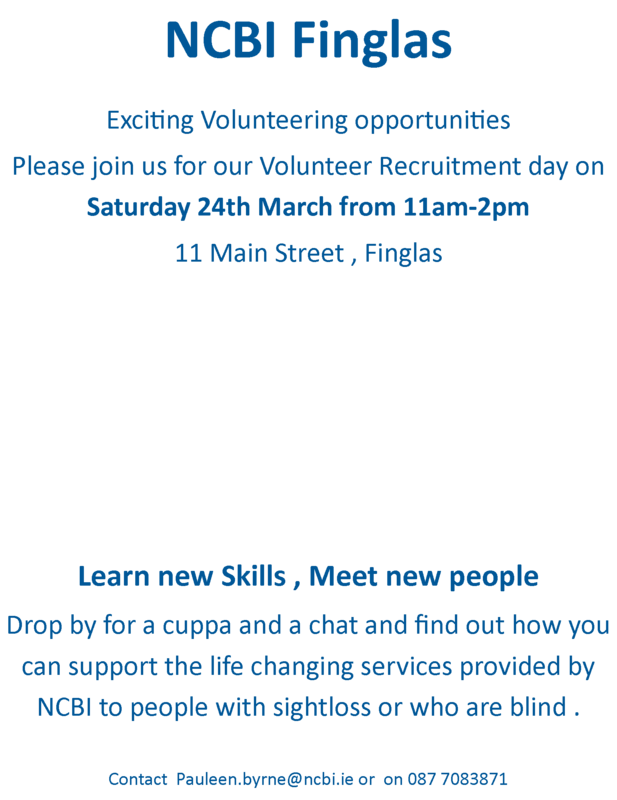 We are holding a special volunteer recruitment day this Saturday , the 24th March at our NCBI charity shop at 11 Main St. Finglas. Drop in between 11am and 2pm to learn more. For further information contact Pauleen Byrne on 087 7083871 or email pauleen.byrne@ncbi.ie. Give it a go, you won’t regret it !